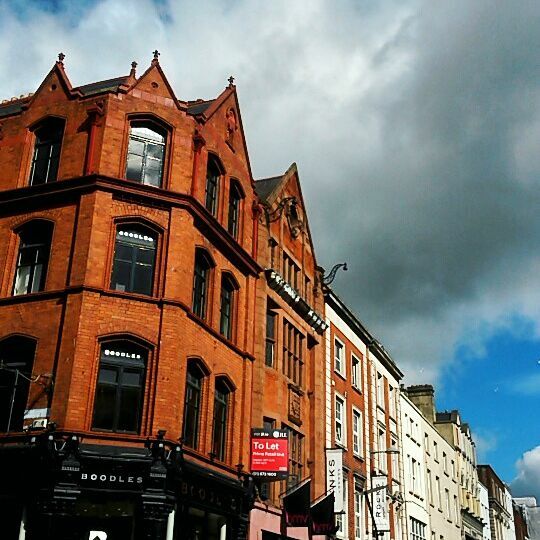 Dainty Sprinkles: Adventures in Dublin ! 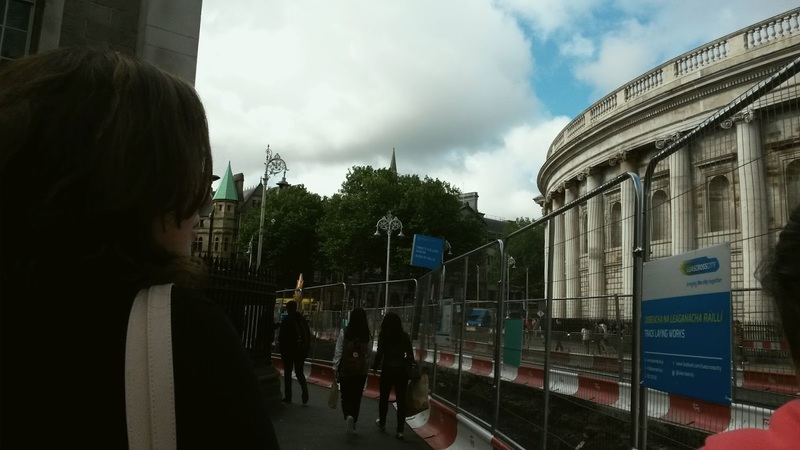 Yesterday, my friends and I embarked on a trip titled 'Culchies Visit the City for a Day'. Because that it what happened. I've heard that my posts are easier to read when the photos are broken up with paragraphs in-between so that is what we are trying today ! Also, stick to the end of this post as I'm going to have a little Q&A paragraph in Friday's post so scroll to the bottom for links to my Tumblr ask box, etc. ! Starting off, we headed for the train that left just before 8.30am and were expecting to be charged the ferociously dear adult prices, except one friend who shall remain anonymous had to pay adult's prices and the rest of us got away with €10.50 child tickets - an absolute rip off for my friend, but practically a steal for the rest of us ! 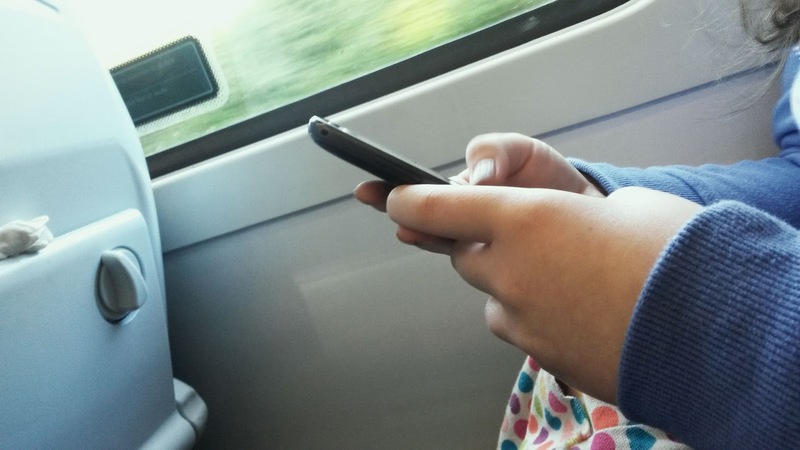 The train eventually arrived at the station after taking it's sweet time and although we did not get a seat with a table, we found seats horizontally across from one another so all was good ! 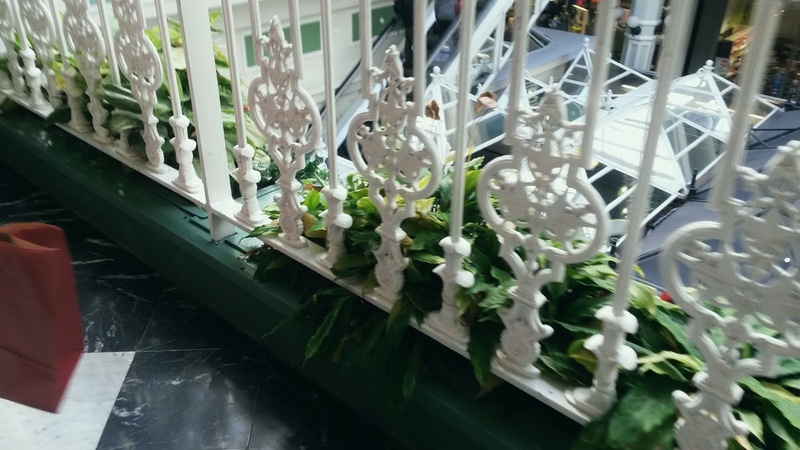 When we got off at Connolly and began walking down O' Connell Street, I realised that there were a. escalators everywhere in shops and b. pedestrian crossings on every corner. Now, I am all for the avoidance of lifts and the avoidance of cars knocking into me whilst I cross the road, but not as much into having to hold a friend's hand every time I want to reach the second floor and our journey from street to street being even longer and having to watch some terrible eejits attempt to cross roads without the green man. Walking around wasn't near as busy or stressful as I expected it to be, although it was only 10.30 in the morning. Our wandering involved entering shops like American Apparel and Lush where everything is so gorgeous and appealing except we'd probably have to take out mortgages in order to afford it all. And then you have to awkwardly explain that you're "just browsing" to the sales assistant who asks if you need any help ! 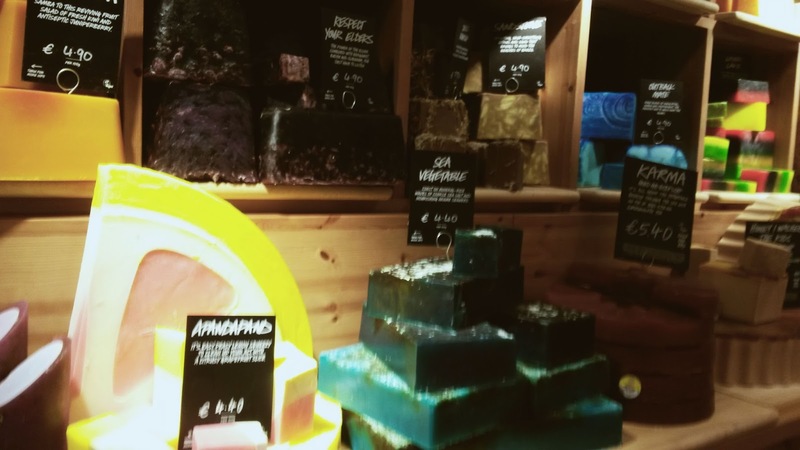 Basically, I secretly wish that I could in Lush because all their staff dress so cool and get to work around pretty scents all day whilst being good at sales. And of course, I had to take the obligatory photos of all the pretty bath bombs and soaps because regardless of whether they're clear or blurry, my camera roll looks prettier as a result of them. After this, we made it to Grafton Street which is where I dragged my friends into HMV. This was followed by me screaming since Swingin Party started playing and by the time Great Summer began, I had worked out that they were playing the bloody Paper Towns soundtrack ! I then became even more excited when rooting through the records and the long row of posters ! The best fifteen minutes ever, basically. Two of my friends had been joking about buying something in one of the tourist shops and I didn't think they were being serious until they came out one with "I ♥ Dublin" t-shirts. One of our last stops on Grafton Street was the Disney Store and that was just too entertaining because we appeared to be the only ones over the age of ten without a kid in the shop and again, everything was overpriced and we just walked around like "some day, I will be able to afford this !" 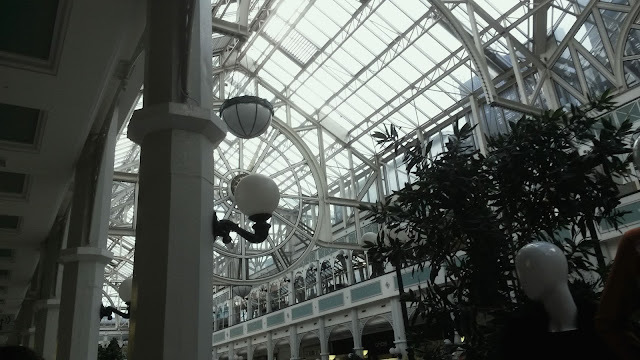 St. Stephen's Green shopping centre was very pretty as always plus we bought morning snacks downstairs and the food wasn't overpriced at all ! We took our snacks to the green which was probably the funniest part of the day, except I have no decent photos to share here ! First, there were pigeons everywhere who were then known as "Kevin" "Kevin #1" "Kevin #2" or "Kevin's cousin" for the rest of the day because apparently it's a One Direction reference. Anyway, Kevin was nice. S/he was a little bit of a pain but still tolerable. Kevin goes for a wander and this duck waddles up, standing right in front of us. S/he just gives us all that threatening animal look as if s/he's going to start on us and he keeps waddling backwards and forwards towards us and then I got it on Snapchat, my friend yelping something along the lines of, "He's going to attack my a** !" Basically, the expressionless duck of nightmares and he didn't waddle off until an old man passed us by whilst we were panicking and he was just like "Oh. It's a duck". No, this wasn't any duck, this was an evil duck ! 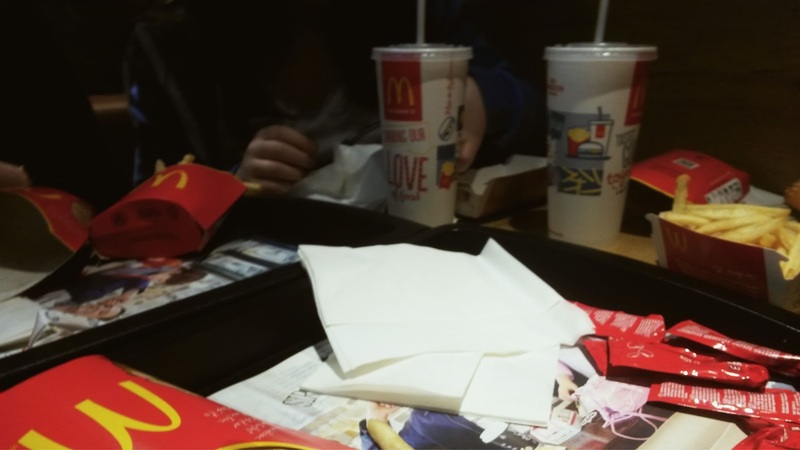 After tiring treks around Eason's and Penneys on O' Connell Street, in which the queues were crazy long, we ended up in McDonald's where one of our friends had very kindly insisted on paying for all the food and we had a lovely, long chat over our meals ! We had to get one of our friends distract our friend whilst the remaining two of us bought her a photo frame to thank her for lunch. Then we decided that we wanted to put in a selfie taken earlier on so we ended up running all over the Ilac Centre and Henry Street, looking for one bloody shop that would print the photo ! Here in our culchie town, we have some kind of photo printing service in practically every pharmacy, as well as a few of the other shops and here we were in Dublin and I am pretty sure that photo printing was unheard of in this part of town ! Anyway, our last resort was the library where we knew there was a printing service - although, not specifically for photographs - and bravo ! 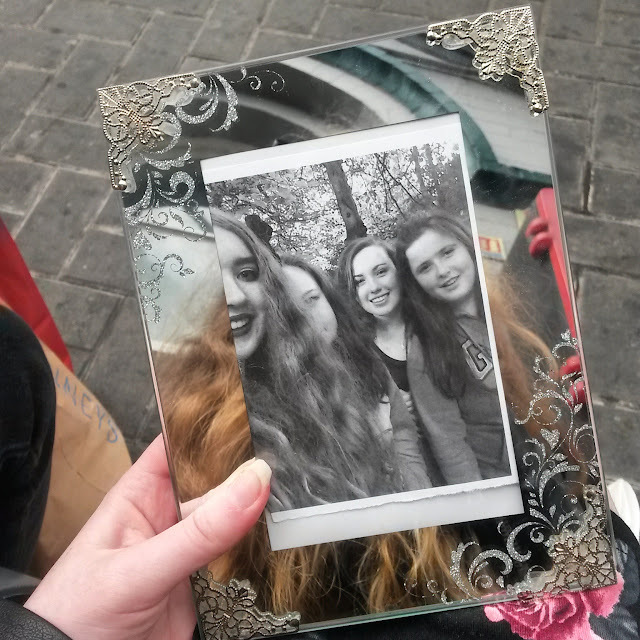 Sixty cents later and we had a photo to frame and our friend loved it when we gave it to her at the train station ! I'm not a huge spender, I mean I prefer to buy in the Penneys sales ! So my Dublin haul consisted of a croissant, a Topshop choker and bracelets which were reduced from €14.50 each to €1.50, a much needed Essence 2in1 eyeliner and a pack of mints. I spent so long trawling around the downstairs Topshop sale because hey, what's the point in buying a necklace on sale for €4 when I could get one for a similar price in Penneys ? 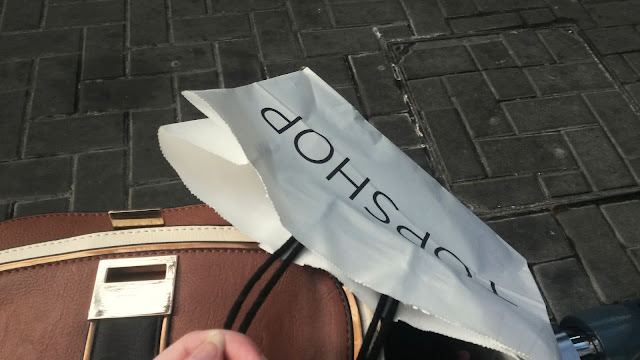 I can't explain how proud I was when the girl at the counter told me that the cost of my finds came to €3, like seriously, when can you say that you spent €3 in any decent clothing store, let alone Topshop ! 1. Independent young woman yehhhh who can waltz around Dublin without an adult or an episode on public transport ! I should probably thank my three friends for being amazing as always, keeping me calm and being the reason that this summer was so great ! 2. The start of my new journal, i.e the decorated notebook in the first photograph ! It was covered in the clear book wrapping thingy, except then the photos were turning green when I touched them so I covered everything again, this time in sellotape, and it looks a little shittier but on the positive side, I can touch the photos without them turning a yellow highlighter shade and it also adds to the slightly vintage look. I will have a post up about it at some stage, discussing where the photos and screenshots on the cover are from or what I use it for so stay tuned ! 3. One year since the first day of Transition Year which I remember began with grumbling 'for insert-swear-word-here sake' on repeat before I had even got out of the car, passing people by who had been in my junior cycle classes and then getting lost, where the heck where my friends ? Somehow, beginning with a negative attitude led to a pretty brilliant year ! The first three days were most memorable since I all of a sudden felt like a confident, careless person, I would meet really cool people in school and then I would go home and find even better music on Soundcloud and then I went through a month long spiralling crisis, like ohmygod I'm not able to TY ! That was a year ago which feels quite far away yet quite a short time ago, except now I'm entering Fifth Year with a similar attitude. 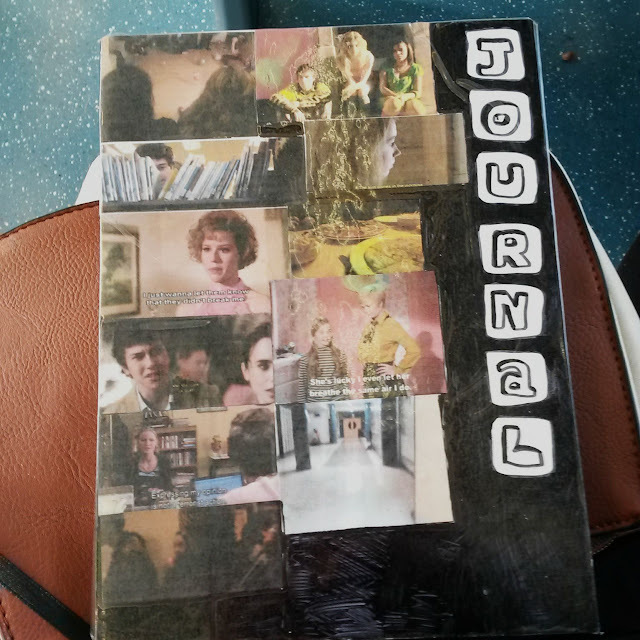 My journal, pencil case, earphones, phone, holding a plaquard reading "Stay the I-swear-too-much away from me" whilst sitting at the bench in the quad where traditionally, people are sociable. Of course, Friday's post will be the annual first day back at school half-ramble, half-rant. It will also mark five years since I first began blogging so three blogs and five years later, I think it's quite an achievement that I've stuck around ! To celebrate returning to the corridors of wooly, adolescent eejits and still rambling on the Internet, I'm thinking of doing a little Q&A segment yoke-bob-thingy in Friday's posts so feel free to leave your burning questions - whether that be about how much everyone hate the Irish education system or something blog related ! You can comment questions below or in the ask box on my Tumblr. 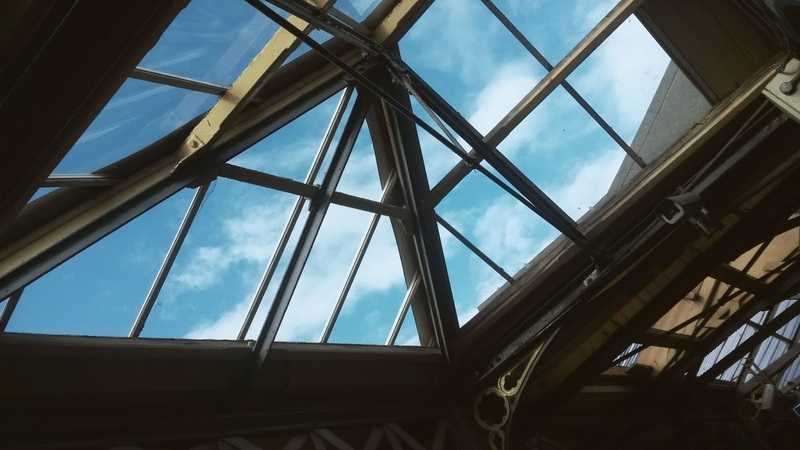 Another long post ! I'm sorry ! I haven't been to Dublin since June, it was so fricking busy though. Ahaah I found it weird in comparison to my tiny town. The Pennys is amazing there though I have to admit, its so big and their selection is so much better than the one where I live. I literally had a field day in there ahah :) That was so cute that you got a framed picture for your friend.